There are times when couch surfing can bring you to a five star Guatemalan resort, free of charge. I am currently sat on a comfortable sofa under a palm tree hut in front of a blue, spacious, stunning swimming pool which overlooks the gorgeous marina. I am staying in Rio Dulce meaning sweet river and I can assure you it is exactly that. I found a fellow couch surfer online who has been living and traveling in his sail boat with his little dog named Butters for 8 years. He pulled up his boat in this marina to fix it and find a companion to travel to south America with. From what I gather, he is 43 years old, used to be in the army, injured his neck and is now compensated every month with an adequate sum of money. 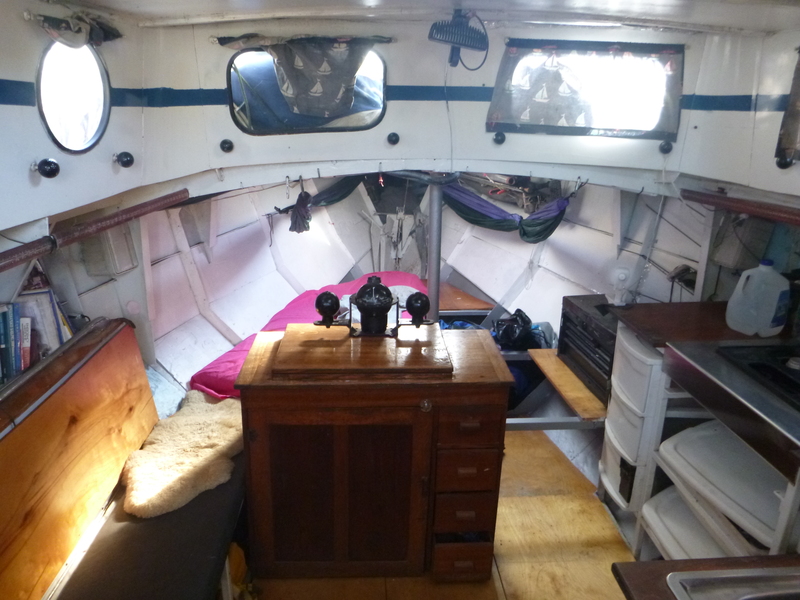 Thus far he has been sailing the world alone but now, having discovered couch surfing, has hosted a select 30 over the past month on a quest to find a partner in crime for his adventures. He is a friendly, kind and slightly eccentric soul. 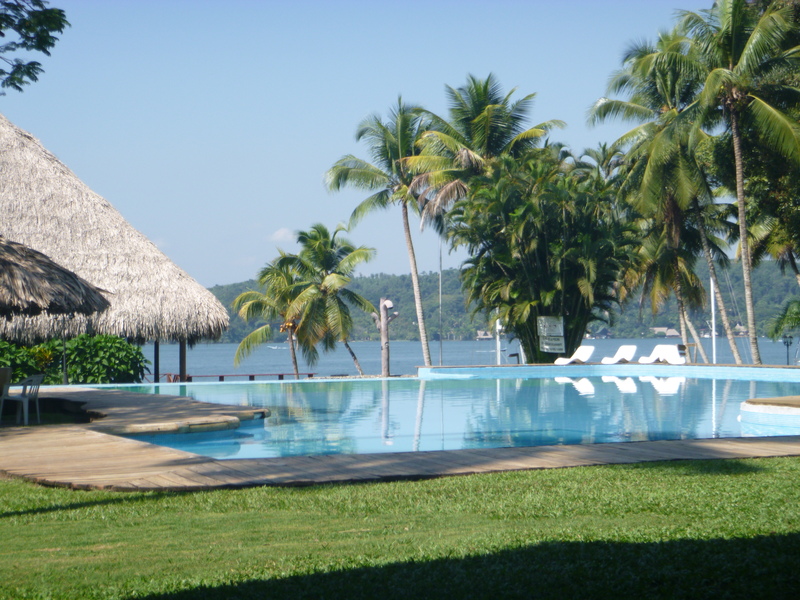 The community in Nanajuan marina (rio dulce) includes: American ex pats who own expensive yachts, rich Guatemalan families who are staying in this resort and retired American tourists also staying in this beautiful hotel. My host was having some trouble with an ATM which ate a load of his money, so he called on a neighbour for help. This neighbour happened to be a multi millionaire and offered to give my friend all his money back. After gratefully declining, my host got to use this neighbour’s high-tech cell phone, which was somehow remotely connected to the USA allowing you to call PayPal in America without adding the area code. How snazzy. Today, I have spent the day relaxing by the pool, exploring the town and relaxing some more. 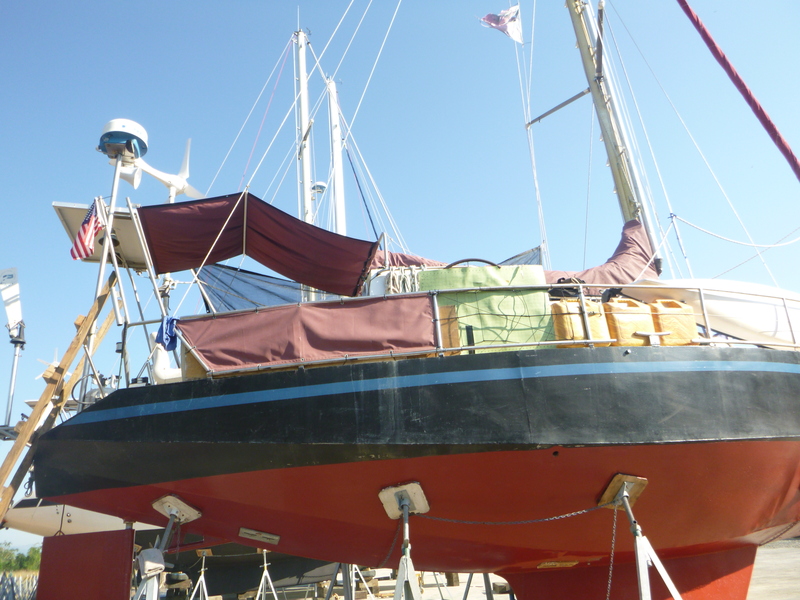 I helped fixing the boat by putting some tape around it, so my host could paint it. Later on we are going to dinner with our rich neighbour, so I’m sure there will be some more stories to tell. Tomorrow I shall keep on moving in a quest to get further south. I will head to Livingston and from there be able to take some boats and buses to Honduras and Nicaragua. Stay posted for more. Holà amigo! Estamos dos Brenda de argentina et yo de francia estamos viajando en America central, tenemos una buena onda, muchas cosas a compartir. Yo me gusta todo, las plantas, la mecanico, soy curioso y Brenda le gusta el theatro. Si te gustaria de comer tipico de francia y argentina espero tu repuesta positivo!